Routers, switches and Hubs are different types of network devices, which looks quite similar but differ from each other in functionality as well as in usage. If you are a Cisco aspirant, then you must know the exact difference amid Routers and Switches, as well as the difference between Switches and hubs. Routers and Switches both are the networking devices which allow one or more than one computer to establish the connection with other networked devices, computers or even networks. However, there is a wide difference in their functions. Thus, there is a great difference between routers and switches. At first, let’s have a look at the basic concept or functions of the two devices. 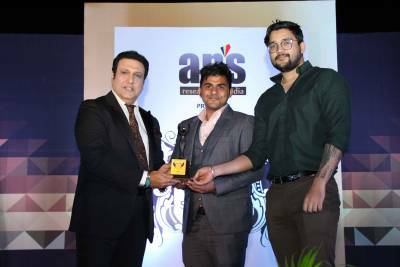 Router is a layer 3 device which works on network layer of OSI model which connects two different networks and it identifies network devices based on their IP addresses. The Routers are the devices used for connecting local network to the other local network/s. They are generally located at the gateway where two or more than two networks connect. Switch is a layer 2 device which works on data link layer of OSI model, it communicates by using frames and it identifies network devices on the bases of MAC addresses or physical addresses. Below, we are listing the top 10 differences between Router and a Switch. It will help you to understand the major difference between routers and switches. Mode of transmission of data It Transmits data in the form of packets. It Transmits data in the form of frames. Address used for the purpose of data transmission. It makes use of IP address for the purpose of data transmission. It makes use of MAC address for the purpose of data transmission. Layer of OSI Model It makes use of layer 3 of OSI model. Layer 3 is the network layer. It makes use of layer 2 of OSI model. Layer 2 is the Data Link Layer. Ports Routers contain 2 Ports by default like fast Ethernet Ports. However, we can add serial ports explicitly. Switches, on the contrary, are available with different Ports i.e – 8, 16, 24, 48 and 64. Table It makes use of the Routing Table for routes to get to the destination IP. It makes use of CAM (Content addressable Memory) table for MAC address. Broadcast domain Routers break the broadcast domain and it does not propagate broadcast domain. Switches allow the broadcast domain and contain per port collision domain. Function Router in networking is used to connect two different Networks It is used to connect End devices such as computers, printers, scanners etc. Used for It is used for both WAN/LAN networks. It is only used for the LAN networks. Mode of Transmission By default, Router is in full duplex mode. However, we can change them manually into half-duplex. Switches are used in half as well as full duplex mode. However, we can also make them in auto-negotiation. NAT (Network Address Translation) and PAT (Port Address Translation). In Routers, we can perform Network Address Translation as well as Port Address Translation In Switches, we can neither perform Network Address Translation nor Port Address Translation. 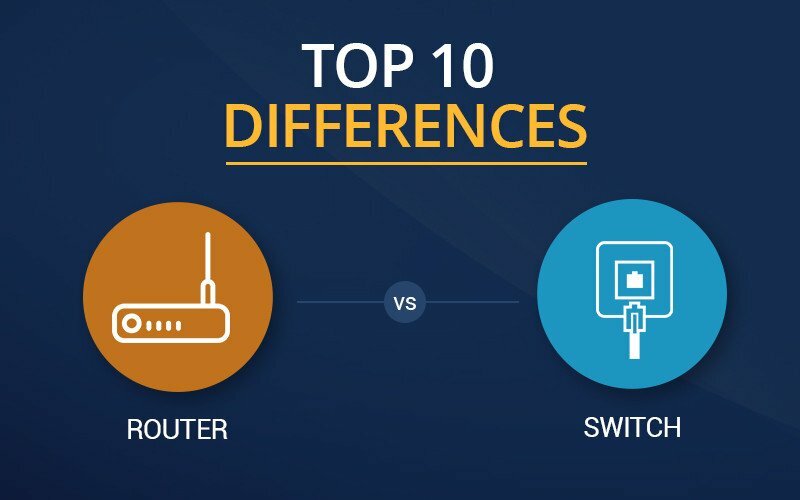 They are the top 10 difference between Routers and switches if you are known to the others then feel free to share with us in the comment section. You can easily understand the difference amid routers and switches, once you perform the practical on the R&S devices, as you will be able to see the difference amid the two networking devices. Remember, Practical understanding of the devices and their functioning is of immense important for understanding the difference between routers and switches. As a Network specialist, you must be known to the functioning of the devices practically. 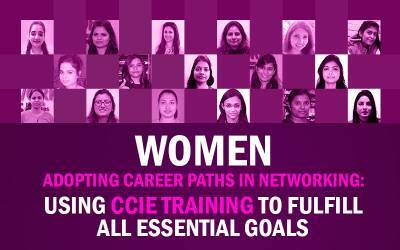 Thus, we at Network Bulls – No.1 CCNA, CCNP and CCIE training institute in India aims at providing 100% practical training to students for making them ready as per the need of the industry. Hope, now you know what is the difference between a router and a switch? 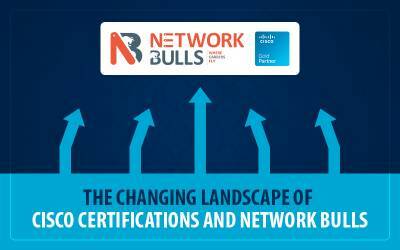 If you are interested in Cisco Courses offered by Network Bulls then Contact Us on 1800-313-2545 or email at admin@networkbulls.com. 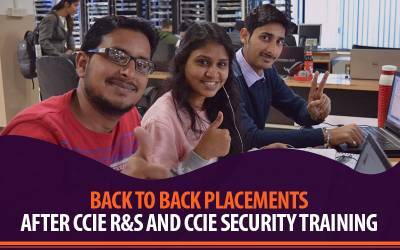 Students from outside India can connect with us over +91-8745885377.